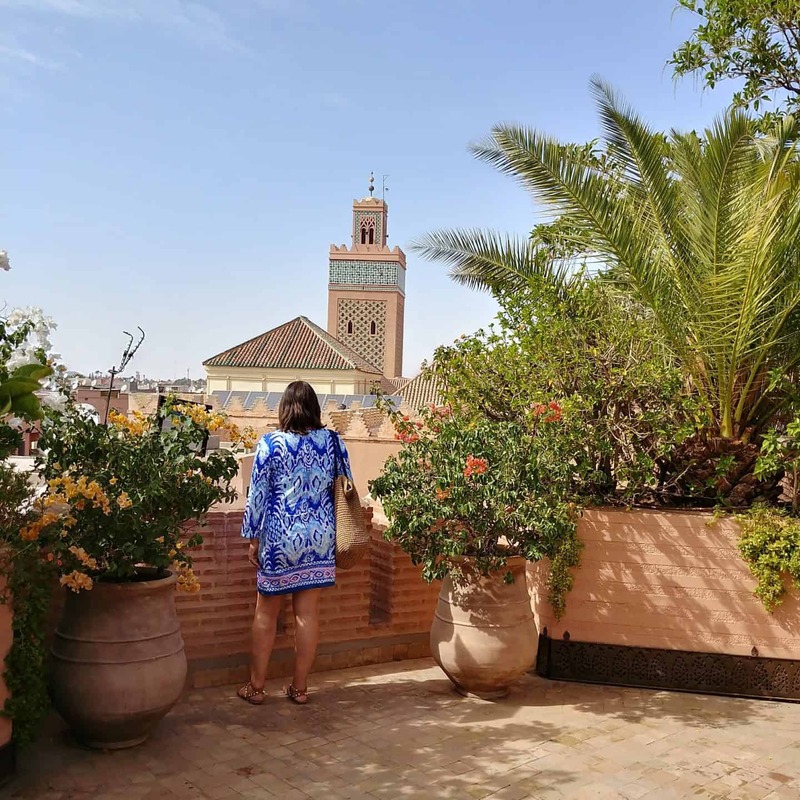 On a busy day in the middle of Marrakech, our driver dropped us off in the medina to find our way to what was to become a most memorable afternoon. 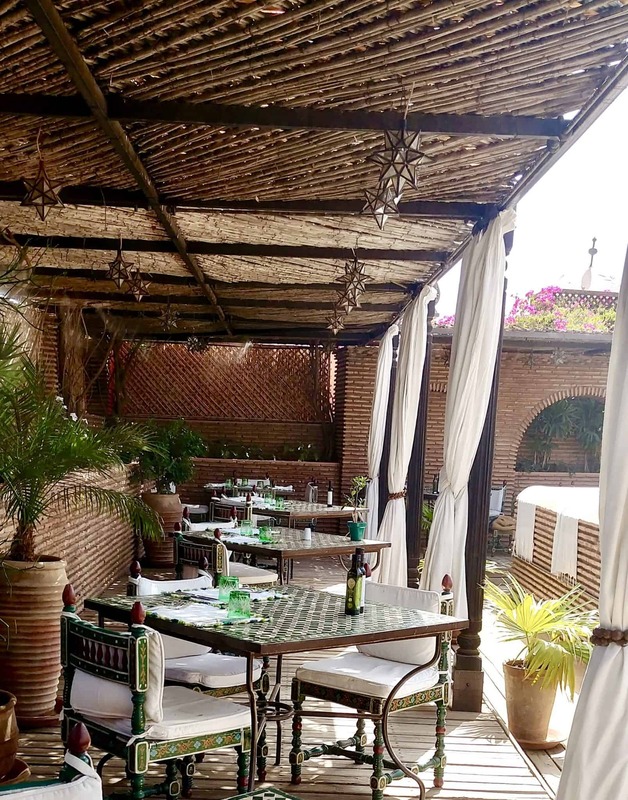 La Sultana is a hidden gem and when I say hidden, I really mean hidden. We walked by the laneway that leads to this hotel three times before finding the entrance. 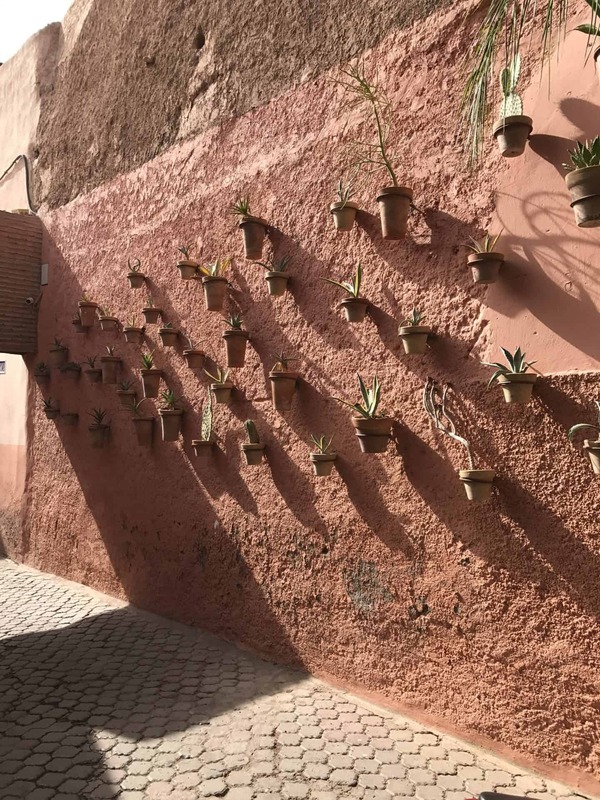 We finally made our way through a pink, plant-lined wall that led us to the main entrance. 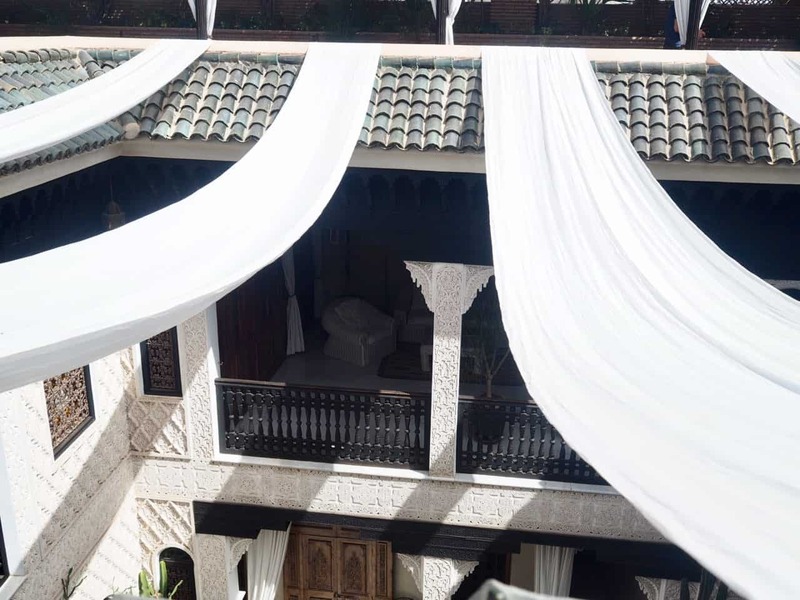 La Sultana Marrakech is located in the historical Kasbah area in the medina of Marrakech, a stone throw from the main attractions. 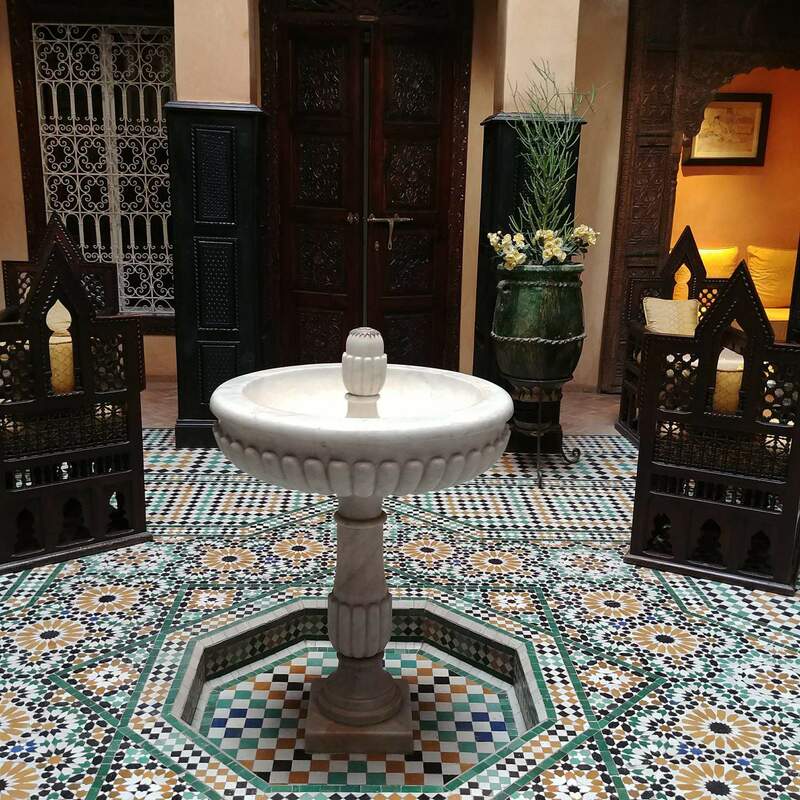 Greeted by the reception, we were escorted to an elaborate elevator and whisked to the rooftop where we were warmly welcomed by the restaurant staff and seated to our table of choice. 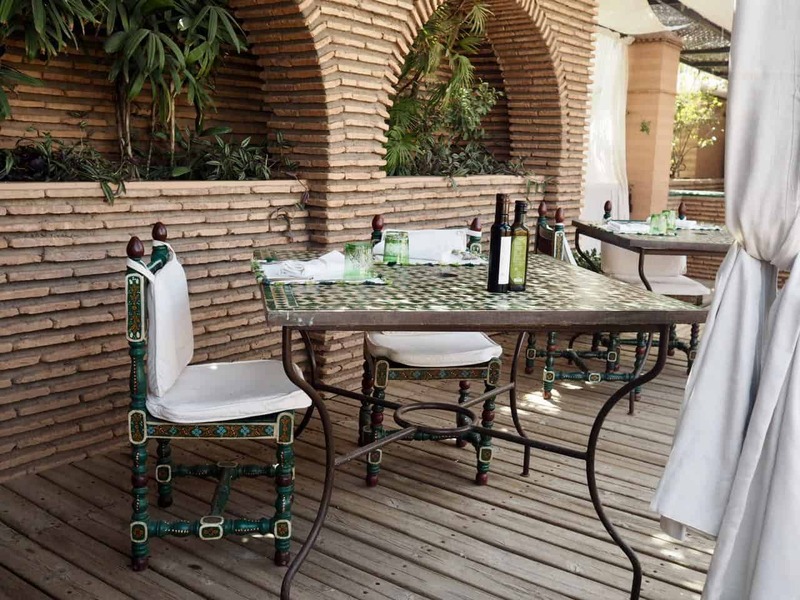 Even in October, the mid-day sun was intense but remarkably very comfortable under the vine-covered canopy of our table, complete with refreshing water misting down from above. 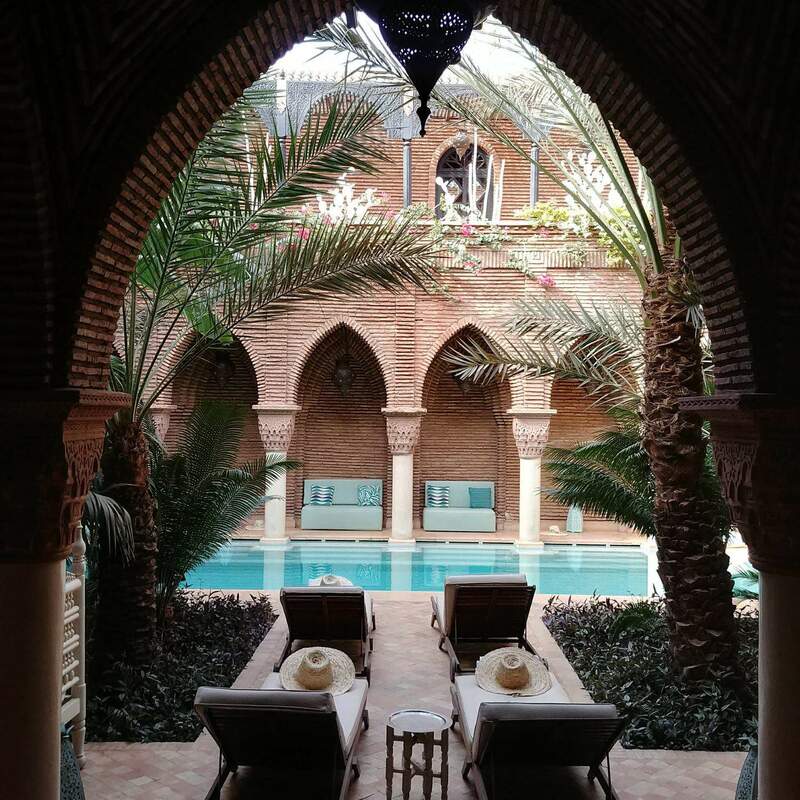 This roof top oasis in the heart of the bustling medina is one of the largest, most beautiful and peaceful settings in all of Marrakech. 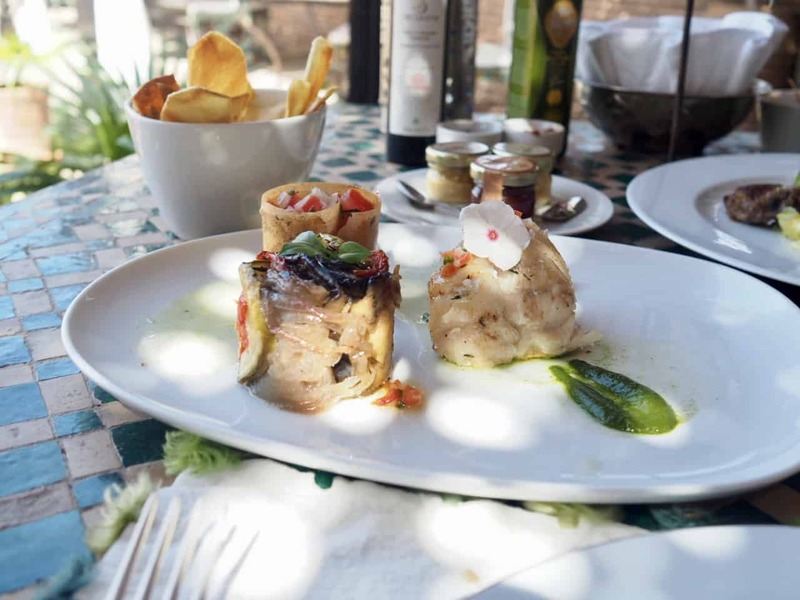 The menu here is traditional but inspiring and we wanted to try everything but with some fine recommendations from our waiter, choosing our dishes was simple. 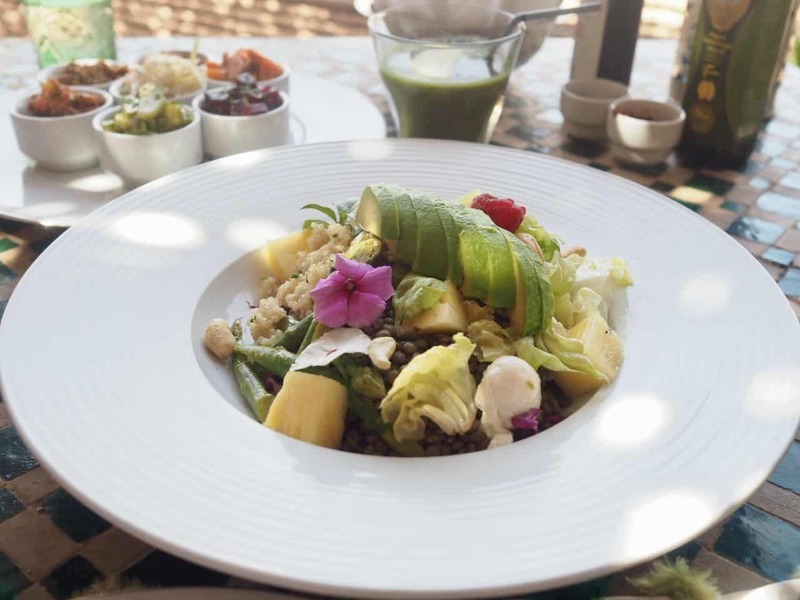 After starting with a refreshing cold soup and a perfectly prepared detox salad, we quickly moved to what became our favourite Moroccan staple dish: a very fragrant and flavourful assortment of cooked vegetable salads served with the traditional bread of Morocco. 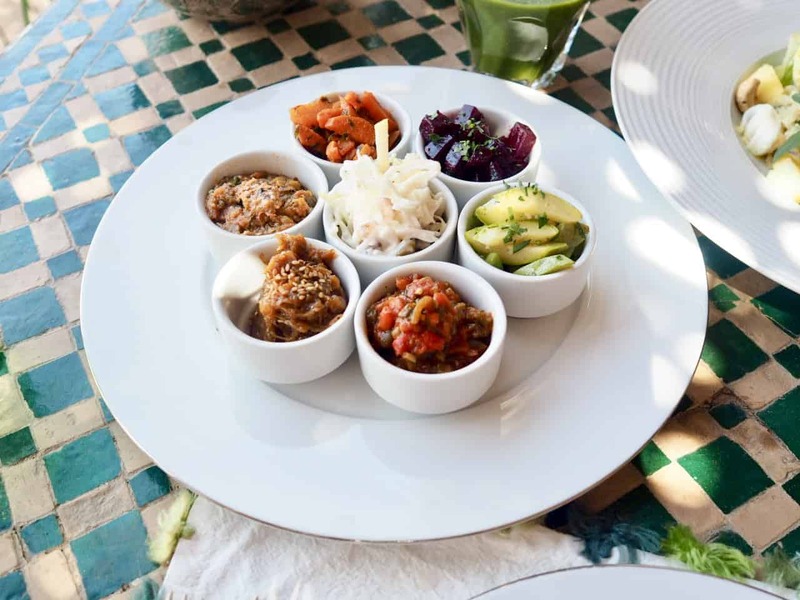 Each bite was bursting with freshness and subtle spices which the medina market is known for. 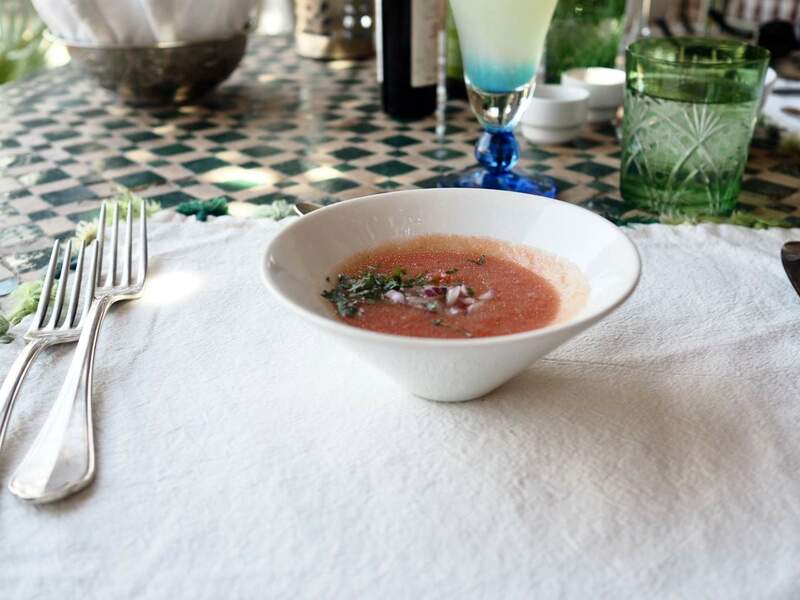 This simple dish varies throughout Morocco but each time we have tried it, it was different but extremely enjoyable. Next, an assortment of charcoal grilled meats and a delicate trout dish which is equally as pleasing. 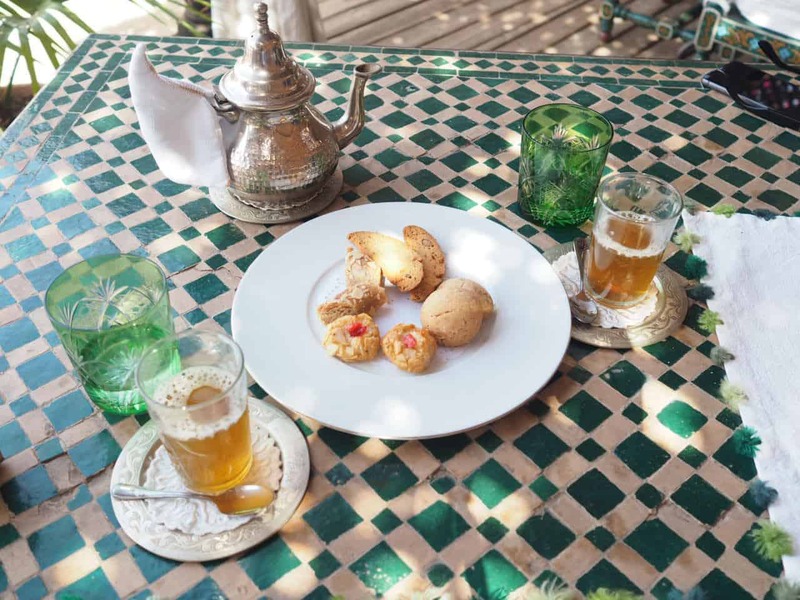 As with almost all of our meals in Morocco, we finished with their addictive Moroccan mint tea and pastries! 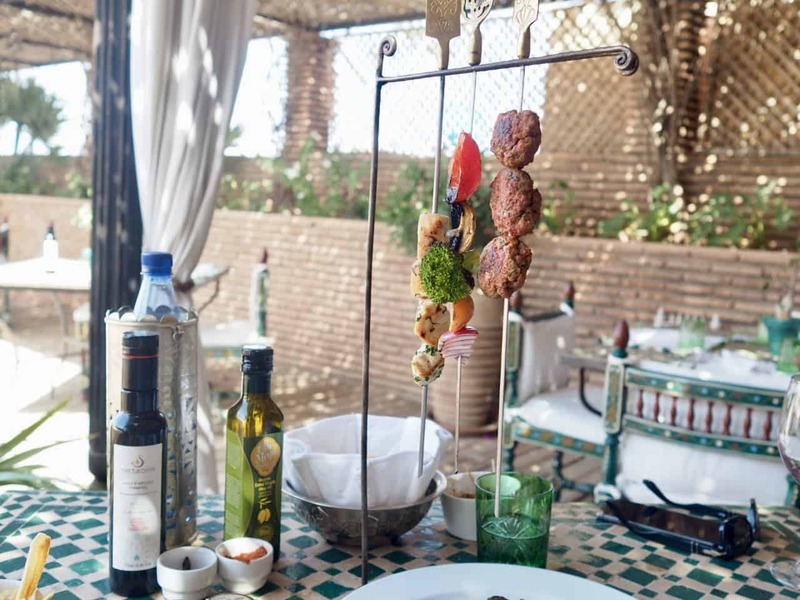 The cuisine alone here is a step above but combined with the exquisite detail and beauty of the terrace, charming service, and the captivating views make this restaurant at La Sultana Hotel one of the finest in Marrakech. 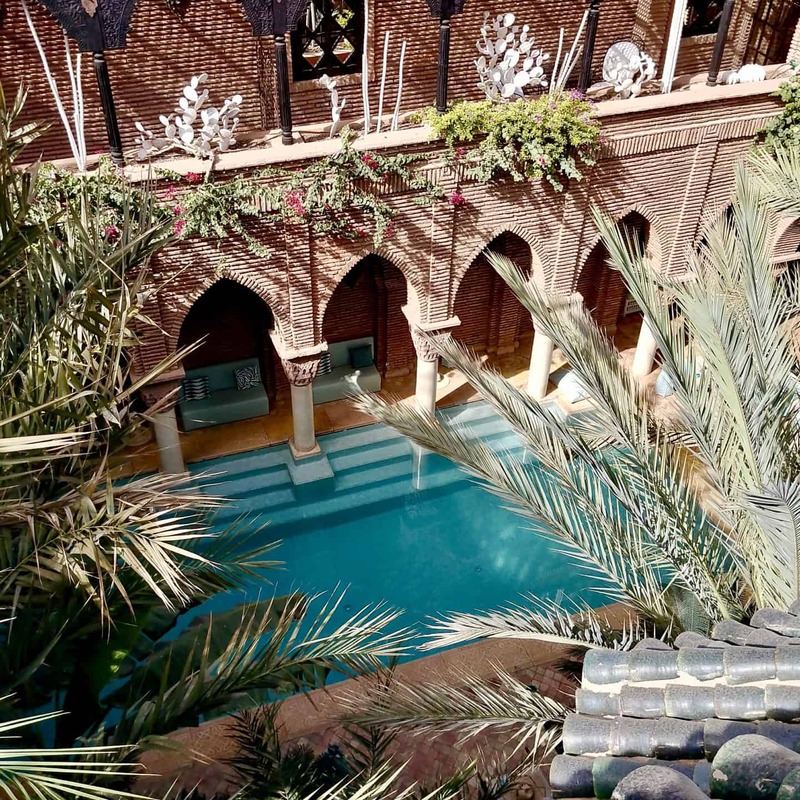 While in the area, be sure to go inside the Kasbah of Marrakesh. 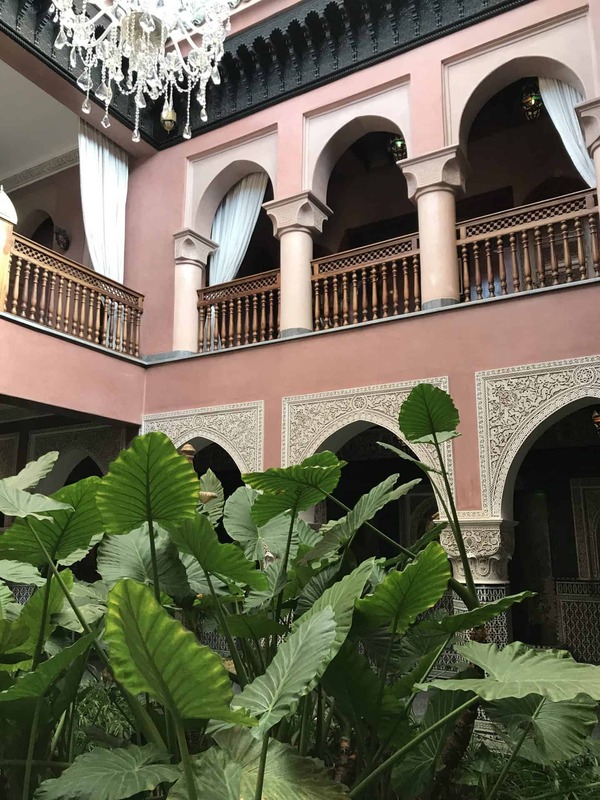 Thank you so much La Sultana for your warm hospitality and delicious Moroccan cuisine. 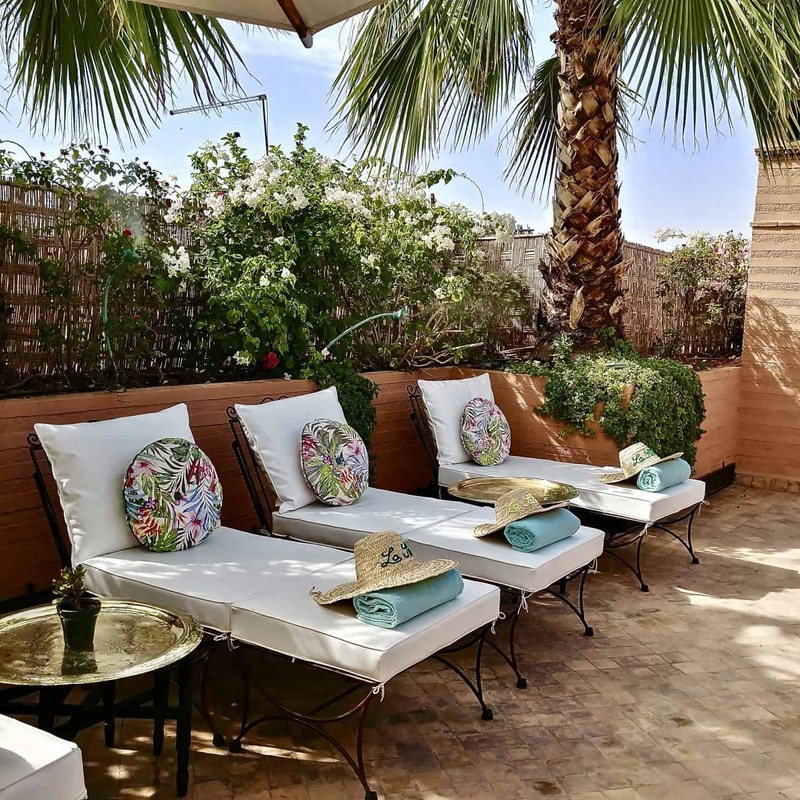 The La Sultana is a tranquil oasis in a busy city. I love all the pictures! I feel like I was there. I pinned it to my travel board to remember to go here.